Filipowicz says that ‘housing affordability’ is a better phrase to use than ‘affordable housing’ because it is about “the relative ability for people to house themselves.” Also, the relative affordability of new homes doesn’t matter as much as the relative affordability of old homes. “Homes, just like cars, are what economists call durable goods. Basically, you don’t just use them and throw them out like a candy bar. You use them over a period of time, during which they generally decline in value due to wear and tear. This is why for many of us our first car is used,” explains Filipowicz. 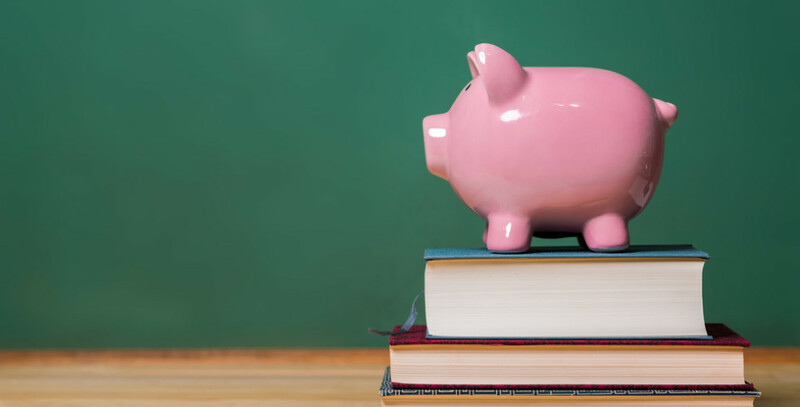 Determining what is affordable is hard — there isn’t a one size fits all. Statistics Canada’s low-income cut-off, for example, is one threshold that could be used to help better gauge affordable accommodations. “Perhaps the share of folks below a certain income threshold that spends more than a certain portion of their take-home pay on housing would be a more helpful, though by no means ideal, measure, but that would depart substantially from the federal government’s apparent desire to encourage home ownership for young workers,” asserts Filipowicz. But, for some Canadians, even thinking about home ownership is simply laughable. Some are choosing to live at home with their parents, oftentimes paying a fraction (if anything at all), of what they would if they rented or owned property elsewhere. This decision to live at home is often because of a lack of affordable places, and typically done to cut costs or out of convenience (i.e. being close to a school). 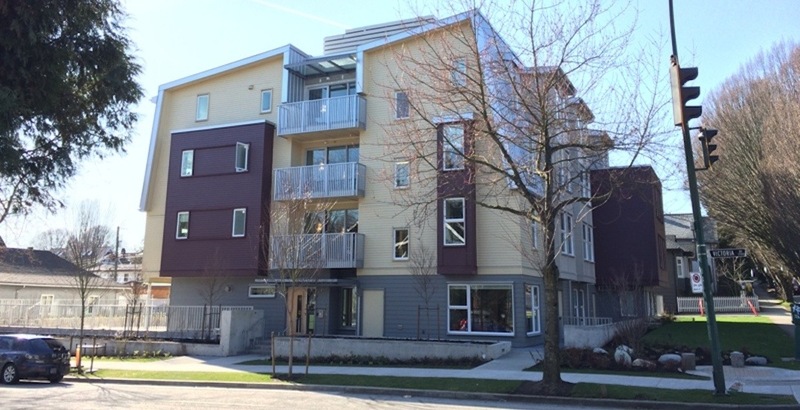 To some, ‘affordable housing’ ends up becoming parental housing. A 2018 study from GWL Realty Advisors, which drew on data from the 2016 Canadian Census, found that Toronto had 279,000 adults ages 25 to 39 still living with their parents (22% of that age cohort). In Vancouver, that percentage was 18% (92,000 adult children living with their parents), and Calgary reported 10% of adult children ages 25-39 living with parents at the time of the census. 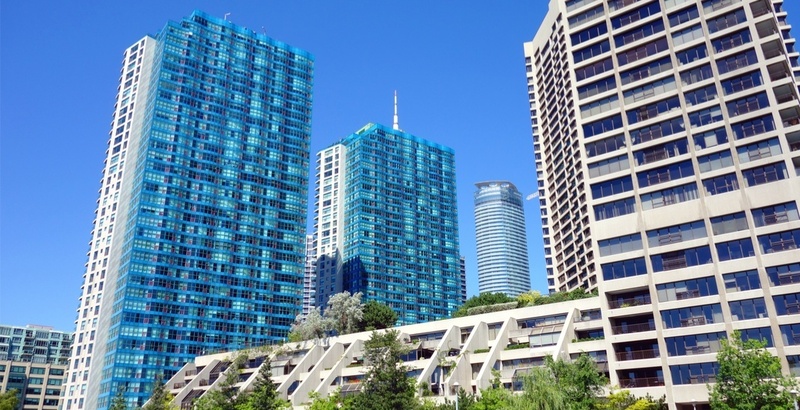 The study focused on Canada’s housing shortage, assessed by reporting the number of households renting condos, who, based on the research, would rather live in a purpose-built rental. It is estimated that over the course of 2015 to 2017, Toronto added an annual average of 14,000 new apartment rental homes that are purpose-built rentals and/or rental condos, however, to meet demand Toronto needs to add or have vacated 25,000 rental homes, each year, according to the report from GWL. Vancouver needs to make 12,000 rental units available per year, but over the past three years the city has only amassed 3,400 new rental homes, annually. In short: Supply is not meeting the demand. Not even close. The 2016 Canadian Census found that 53% of new condos built from 2011 to 2016 were being used as rental housing in Toronto, while Vancouver’s add of 3,400 was dispersed between condo rental (2,600) and purpose-built rental (800) per year from 2016 to 2017. 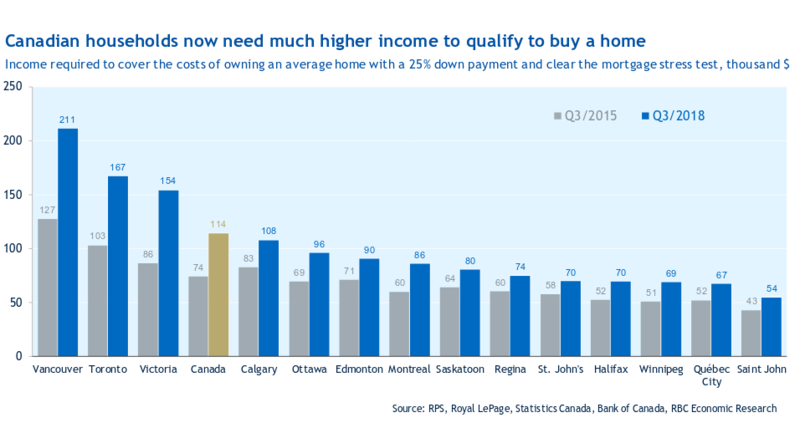 RBC’s Housing Trends and Affordability report (December 2018) further highlights the difficulty of owning a home in Canada. The report states that the affordability measures deteriorated to the worst level in Canada since 1990. Findings also saw that Vancouver and Toronto have the greatest affordability crisis. With rising mortgage rates, which increased for a fifth straight quarter, and prices falling flat across the country (Montreal’s home prices continue to rise, however), the market looks challenging. “We expect that further interest rate hikes will keep upward pressure on ownership costs in 2019. Softening prices in key markets and rising household income increases will provide some offset, however,” reads the RBC report. “Over the past year, RBC’s affordability measure for condos in Canada increased by 3.6 percentage points compared to only 1.2 percentage points for the single-family detached measure,” notes the report. An increase in the measures means a loss in affordability. 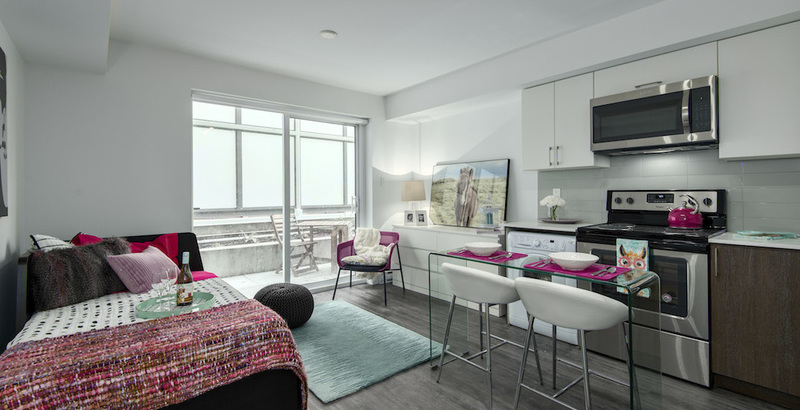 “We saw a strong demand for condo apartments in Canada’s largest markets, as this type of housing is usually a more affordable choice,” the report reads. Referring to the below chart, affordability across Canada is a problem with Vancouver and Toronto receiving the greatest blows. It would take 86.9% and 75.3% respectively, of a typical household’s income in those cities to cover ownership costs of an average priced home. These numbers are all measured for the third quarter in 2018. When it comes to indicators that Canada’s housing market will be affordable, Filipowicz says governments (especially local and provincial) should be monitoring the “extent to which ownership and rental options are available to folks in various income percentiles.” So, how many rental or ownership listings are available to families in the 30th income percentile, for example. It is important to monitor these vital signs because “it’s a good way of knowing whether or not city hall should be issuing more building permits,” he adds.